Over the past few years Antec has moved on from a company making run-of-the-mill PC boxes to one that's setting the benchmark for new system cases. Examples include specialist cases such as the ultra-light LANBoy to the all-powerful P180. In many ways it's not doing anything revolutionary or innovative; Antec products are well-engineered, simple solutions that just work. At first glance there's little difference between this and the original Sonata case. Ostensibly, it's the same midi-tower design with the same-looking front panels, along with the same number of drive bays. On closer inspection it's clear that some areas have minor important changes, such as the 270-degree swing-out front panel. One of the key items for the Sonata-II is the advanced internal duct system. This is an adjustable system that sits over the CPU and pipes the air out the back. This can have an internal 92mm fan installed, along with an 80mm fan that sits over the graphics card area. As standard, the duct comes without fans, but does have a quality 120mm rear fan kitted out with a three-step speed-controller. 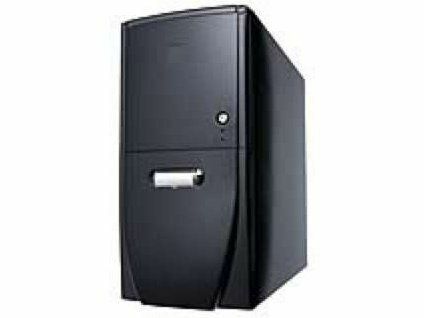 Another convenient and practical addition are the presence of the side-mounted HDD bays. These little fellas are slide-out trays into which you screw each hard drive. The fixings are rubber and help eliminate any hard drive ticks and vibrations, as well as making drives easy to access and remove.